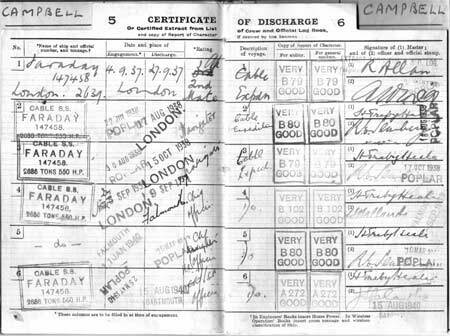 Introduction: Kate Pickard shares this information on her father, Hugh Campbell, who served as Chief Officer of CS Faraday (2) in the 1930s, leaving the ship in 1941. 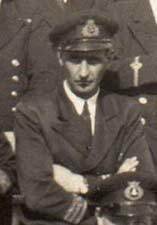 See also the story of Alexander Purse Murdoch, who served on Faraday with Hugh Campbell on the 1935 Bass Strait expedition. 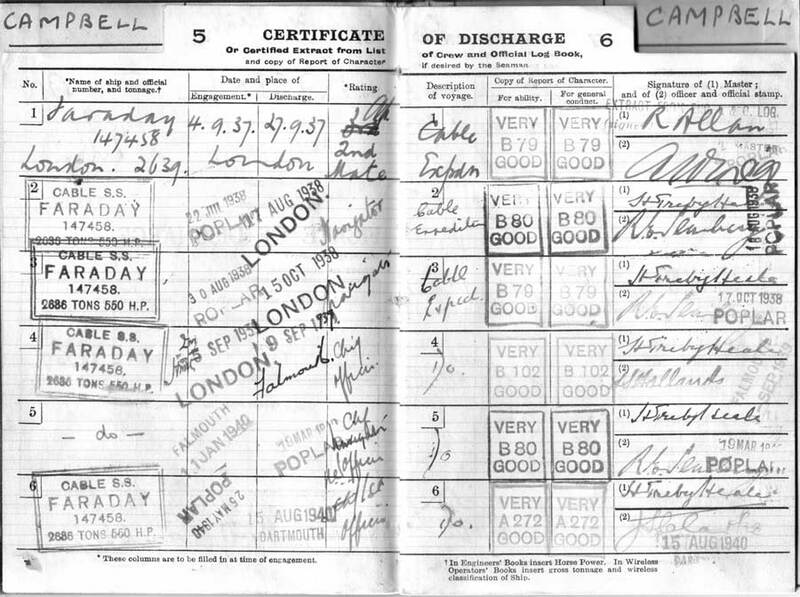 My father was Hugh McDonald Campbell, born Doune, Perthshire, Scotland in 1908. 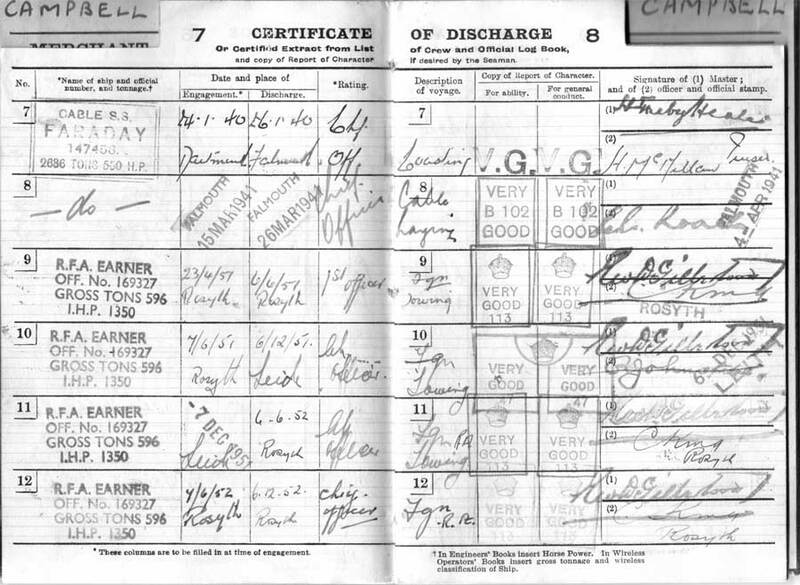 He went to sea at the age of 14½! 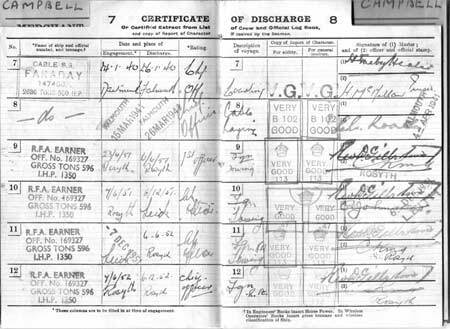 His family had very little variety in Christian names—his grandfather, uncle, cousin and nephew were all named Hugh, so my father became Uisdean, which is Gaelic for Hugh. The 1935 Christmas card shown below was signed by him, but the recipient is unknown. 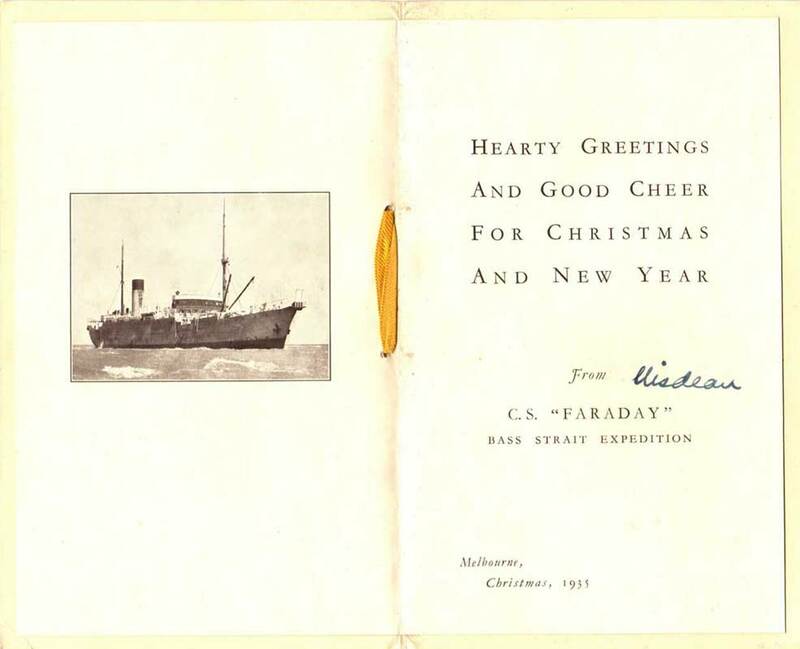 The card was sent from Melbourne while CS Faraday was on the Bass Strait cable expedition. An article published in Walkabout magazine (Australia), on February 1st 1936, gives a detailed description of this voyage. 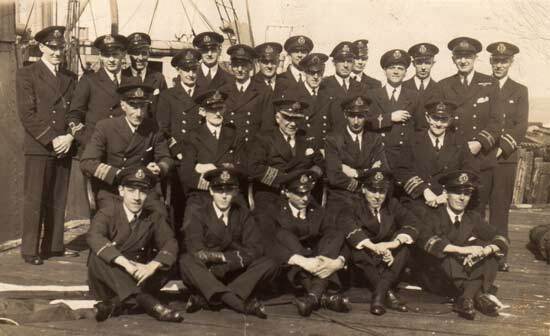 The photograph of Hugh Campbell at the right is a detail from the crew photo below, date unknown. 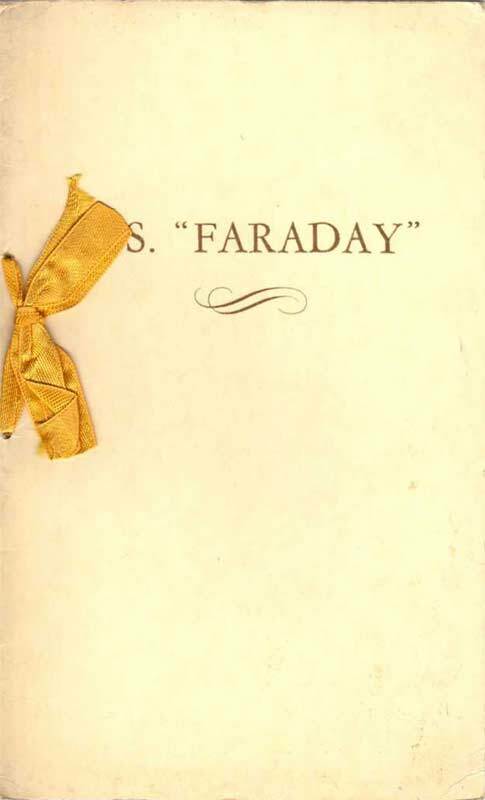 CS Faraday (2) crew photograph, date unknown. Hugh Campbell is second from right in the second row.